These sample Account Representative interview questions can help you identify and hire the best people for your company. Feel free to modify them to meet your specific job requirements. Account Representatives communicate with existing clients to answer queries and address any problems they may have. They also inform clients about new products or services and work to build profitable long-term business relationships. When interviewing candidates for this role, look for confident individuals who are conversationalists, and who show genuine interest in your company. Focus on candidates who tend to interact well with other people and are professional. Experience in customer service is useful, but not necessary, especially for entry-level positions. Successful Account Representatives are motivated by goals and are not discouraged by job-related challenges (e.g. difficult customers). 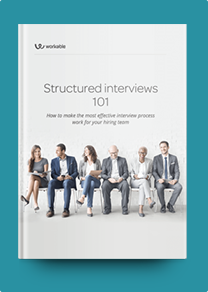 Ask the following interview questions to identify potential hires who have excellent presentation and negotiation skills. If you’re looking to source more experienced candidates, examples of Account Manager interview questions could be more suitable for your role. How would you respond to an important client who routinely complains about product pricing? How would you prioritize problems from multiple clients at once? What satisfies you more: Closing a deal with a big customer or keeping successful long-term relationships with five smaller customers? Why? Walk me through what makes a cold call successful. How do you organize your daily schedule? What’s your experience with CRM software? Name any tools you’re familiar with. How did you use them? What information do you need from the sales department when assigned a new customer? How often do you contact existing clients, and how do you keep them engaged with the company’s product? Describe a time you helped a dissatisfied customer. How did you do it? Describe a time you solved a difficult problem for a customer. How did you do it? Do you have experience negotiating contracts? If so, what role did you play?